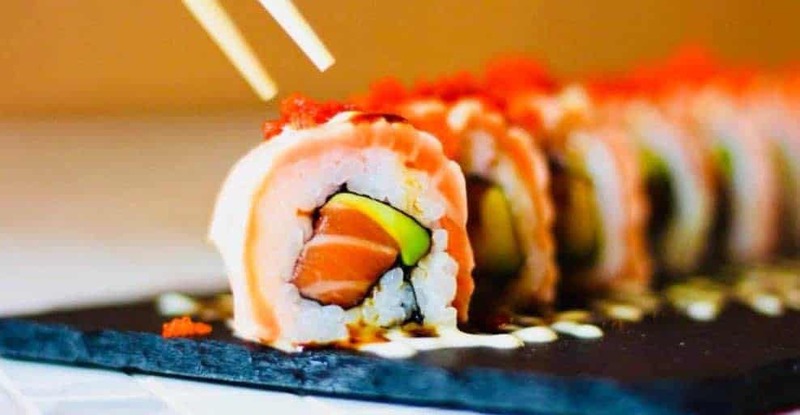 SUSHI FESTIVAL ZURICH 29th AUGUST – 1st SEPTEMBER: don’t miss Zurich’s 1st Sushi Festival at Sihl City from 29th August to 1st Septmember. See details here. THEATER SPEKTAKEL 16th AUGUST – 2nd SEPTEMBER: entertainment in many forms along the side of the lake at Landiwiese. Find out all about it here. 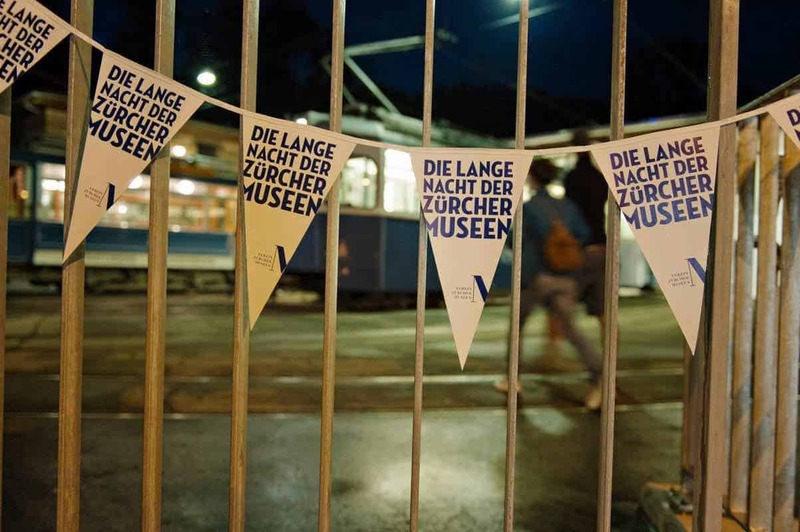 LONG NIGHT OF THE MUSEUMS 1st SEPTEMBER: don’t miss the Long Night of the Museums in Zurich this year when many of the museums will be open from 7pm – 2am!!! Tons of culture packed into one evening! See all the details here. PINK RIBBON WALK FOR BREAST CANCER 2nd SEPTEMBER: the annual Pink Ribbon Walk in aid of breast cancer takes place in Zurich on 2nd September. Find out more on the website (in German). ALLIANZ TAG DES KINOS – CINEMA FOR CHF 5: On Sunday 2nd September it’s the annual “Tag des Kinos” and you can see films not just in Zurich, but all over Switzerland for just CHF 5! Find out more here. SANNI FOUNDATION CHARITY EVENT HERRLIBERG 2nd SEPT: Summer barbecue with musical accompaniment in aid of the Sanni Foundation helping underprivileged children in India. Register here by 10th August with the number of people wishing to attend. Tram/bus stop Neumarkt – trams 3, 11, 15 & 17. Buses 31 & 33. Parking at Parkgarage am Central. Tickets on the door only subject to availability. VIADUKT NIGHT AT THE MARKTHALLE 7th SEPTEMBER: enjoy all the fun of the fair at the 8th edition of the Viadukt Night with all types of yummy food on offer from Michael Jones’s wondeful British cheeses, to Dutch oysters and lots more. In addition an art installation and dancing in and out on the street! Find out more here. 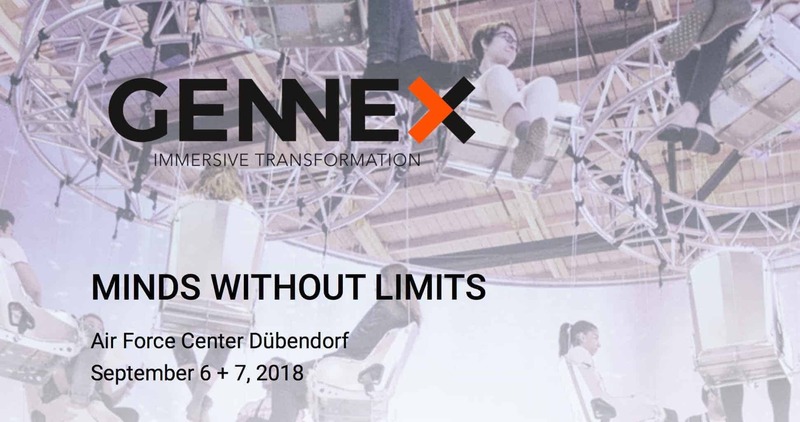 GENNEX BUSINESS & TECHNOLOGY CONFERENCE 6th & 7th SEPT: *** CONTEST *** the Gennex Business and Technology Conference is taking place in Dübendorf on 6th & 7th September. Offering an exciting program with international speakers and challenging you to go beyond your comfort zone, it is bound to be an inspiring event. Tickets cost CHF 790 but we have FREE tickets for NewInZurich readers. Simply email us here with the word GENNEX in the subject line to enter. Find out more here. ART INTERNATIONAL EXHIBITION 21st – 23rd SEPTEMBER & CONTEST: Art International is taking place from 21st – 23rd September and we have 30 pairs of tickets to give away to NewInZurich readers. Simply email us here with the word ART in the subject line for your chance to win! Read all about it here. FLASHDANCE THE MUSICAL IN ZURICH 19th SEPT – 7th OCT: enter our contest to win a pair of tickets – or simply click on the link to get 20% of tickets. All in English! Find out more here. GOURMESSE FOOD EXHIBITION ZURICH 13th- 16th SEPTEMBER: Foodie exhibition in Oerlikon at Halle 622. Win tickets! We have 400 tickets to the Gourmesse exhibition at the Messe Zurich from 13th – 16th September. Grab your ticket here! JOANNE FINNEGAN’S EXHIBITION AT RAFFEISEN MEILEN TILL END SEPT: Mountain painter Joanne Finnegan currently has an exhibition taking place at the Raffeisen Bank in Meilen until the end of September. Do pop by and take a look! 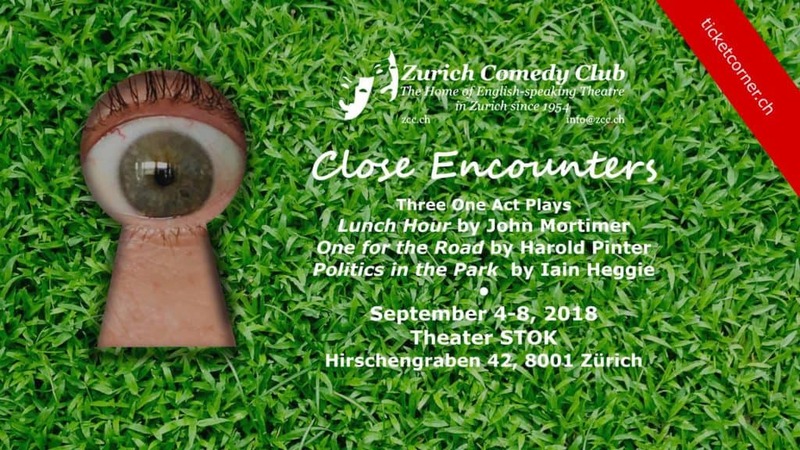 CLOSE ENCOUNTERS – 3 ONE ACT PLAYS AT THEATER STOK 4th-8th SEPT: the ZCC will be putting on 3 great one act plays in English at Theater Stok Zurich from 4th – 8th September and tickets will be available to purchase from 7th August. Find out more here. Panel Discussion by Room to Read Zurich Chapter 13th September: In celebration of International Literacy Day the Zurich Chapter of Room to Read is organizing a panel discussion with renowned speakers to discuss the developments in literacy and education programs in developing countries. It takes place at 6.30pm at Google Offices, Kasernenstrasse 95, 8004 Zürich. Event is free with a suggested donation of CHF 30 to Room to Read. Full details here. 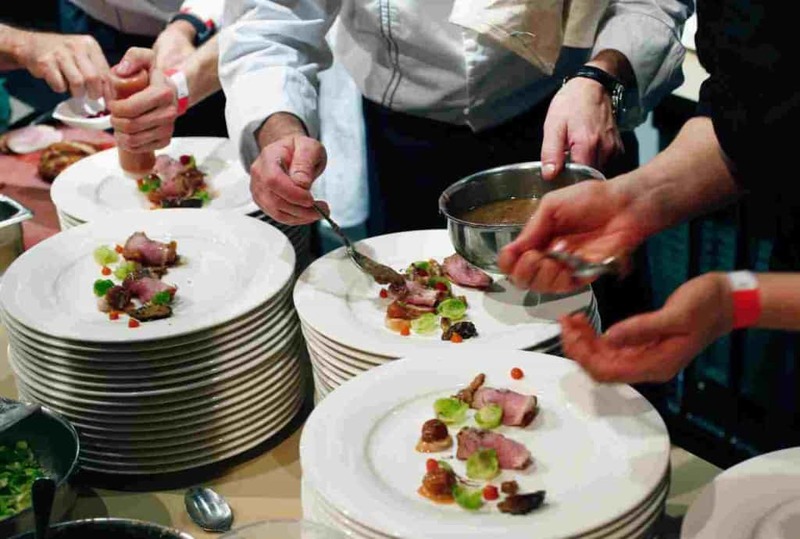 LUGANO CITTÀ DEL GUSTO 13th – 23rd SEPTEMBER: if you love food and wine this is a must do event taking place over 10 days in the wonderful city of Lugano. There are workshops, events, tours, talks and lots of tasting. Find out more here. NESPRESSO’S NEW “MASTER ORIGIN” RANGE OF COFFEE: If you’ve been in to a Nespresso boutique recently you’re sure to have seen the new Master Origin range. We were invited to a special tasting where we learned all about the stories behind the production of each of the Master Origins. Find out all about these stunning coffees here. 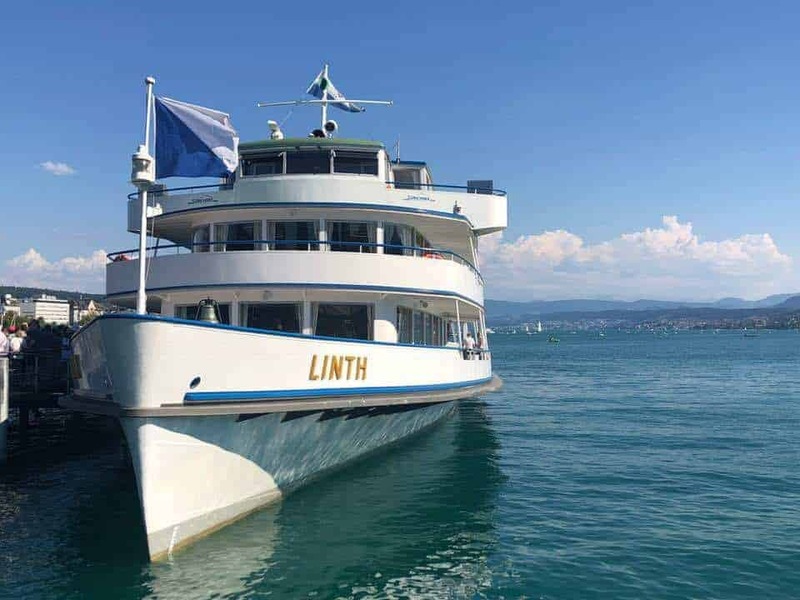 SHORT CRUISES ON LAKE ZURICH: check out the variety of cruises which you can take on Lake Zurich. There is something for everyone. Take a look here. GREEN LAMP CHARITY FUNDRAISING LUNCH 26th SEPT AT WIDDER HOTEL: Fernanda Drumond from the Gapminder Foundation talks about their revolutionary fact-based view on global development in the current climate of ‘fake news’. Tickets cost CHF 110 for Members, CHF 140 for non-Members and CHF 175 for Special Ticket to include Green Lamp Lunch plus Membership 2018. Price includes three-course lunch with wine, a tombola ticket worth CHF 20. Find out more here. WALTER MITTELHOLZER EXHIBITION NOW TILL 17th OCTOBER: an exhibition at the Landesmuseum about the Swiss entrepreneur and founder of Swissair, Walter Mittelholzer. Take a look here. URBAN SURFING IN ZURICH: Urban Surfing is extending its season until 14th October. Find out more about Urban Surf here. NEW GLOBI HIKING TRAIL FOR KIDS IN LENZERHEIDE: A new hiking trail specially designed for kids has just opened in Lenzerheide. Find out all about it there. 6 CIRCULAR WALKS NEAR ZURICH: looking for routes to go walking not far from Zurich? Why not check out these suggestions? 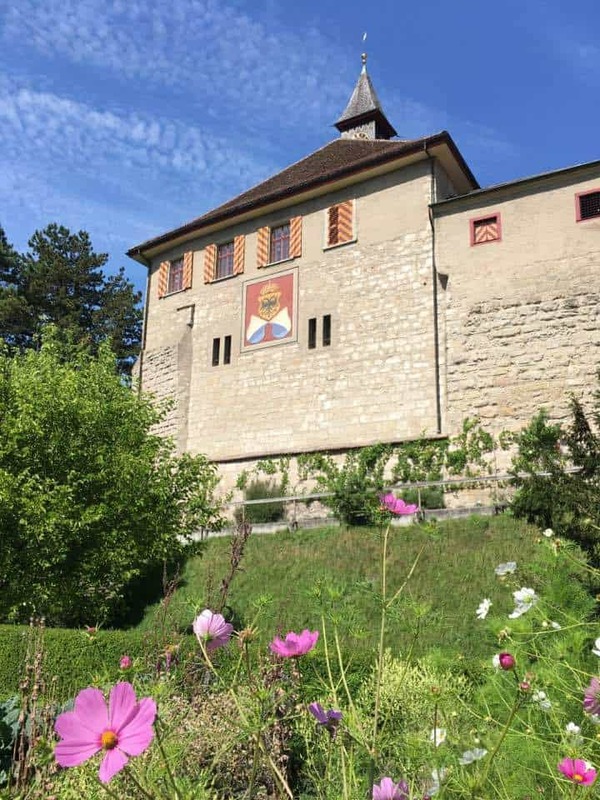 SCHLOSS KYBURG: Explore the beautiful castle of Schloss Kyburg just a short trip from Zurich. Find out all about it here. THE TEMPLE IN CHINA GARDENS: you’re probably familiar with China Gardens – but have you visited the Temple there? It’s definitely worth a visit. Find out more here. RELAXATION AND ACTION AT HOTEL KLOSTERBRÄU & SPA AUSTRIA: we enjoyed a fabulous weekend at the luxurious and super friendly Hotel Kloseterbräu in Seefeld Austria. We were spoiled with fabulous food, pampered with wellness and we managed to do some great hiking too. Find out all about the wonderful Hotel Kloseterbräu here. 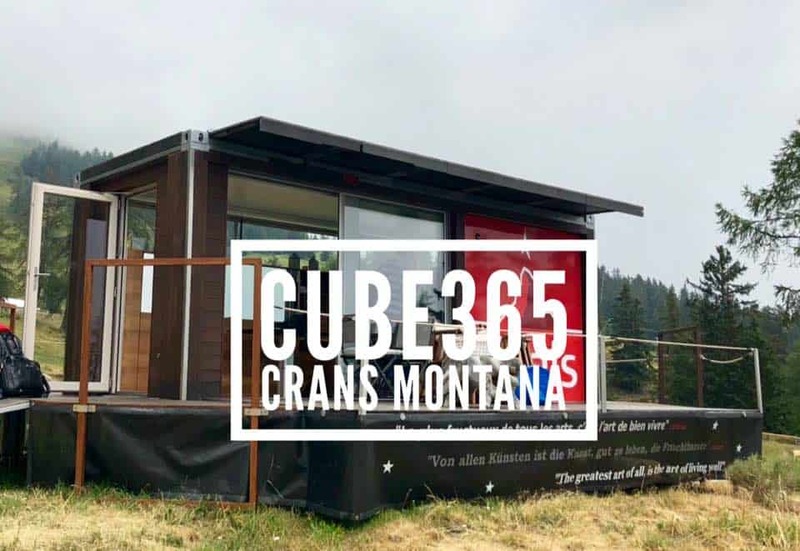 GLAMPING IN CRANS MONTANA at CUBE365: Imagine sleeping in a “cube” pop up hotel on top of a mountain in Crans Montana surrounded by beautiful countryside and amazing views? If you’re interested in visiting the CUBE365 pop up hotel you need to be quick! It is only open until mid September. Find out more here. THE NEW BEAR CONSERVATION PARK IN AROSA: The new Bear Conservation Centre in the mountains in Arosa is now open. Why not go and see Napa the bear who has been rescued from a circus in Serbia and is now enjoying Swiss Alpine pastures. Find out more here. OBRIST WINE OFFER: we’ve been doing some tasting with Swiss wine producers Obrist Wines (who have recently won 11 awards (including 4 gold) at the Expovina Wine Awards) – see photo below. We have teamed up with them to offer you a discount of CHF 15 off your first order using code CHRISTINA15. Obrist offer a huge variety of wines and they deliver all over Switzerland. Find out more here. PHYTO RE30 TRANSFORMING GREY HAIR BACK TO NORMAL: a new hair product is now available in Switzerland and claims to return put to nearly 40% of your grey hair back to its natural colour. RE30can be purchased in pharmacies all over Switzerland. Find out more here. RECIPE OF THE WEEK: how about a recipe for a very easy Strawberry Summer Cake. See recipe here. ELEGANT AND AFFORDABLE MONDAINE SWISS WATCHES: Mondaine’s range of elegant and affordable M-Watch Swiss watches for women make great presents and are very practical too. Find out more about the “Timeless Elegance” range here. TOP TIPS FOR NEWCOMERS TO SWITZERLAND: if you’re planning on moving to Zurich anytime soon, take a look at our tips here. HOW TO EXCHANGE YOUR DRIVING LICENCE FOR A SWISS ONE: If you’re new in Zurich one of the first things you should do as soon as you’ve got your Ausweis is to apply for your Swiss driving licence. Find out how to apply here. VACCINATION AGAINST TICKS: what you need to do to get vaccinated against ticks. Read all about it here. HOW DOES TAX FREE SHOPPING WORK: answers to the recent emails we received about what tax free shopping in German entails. See here. 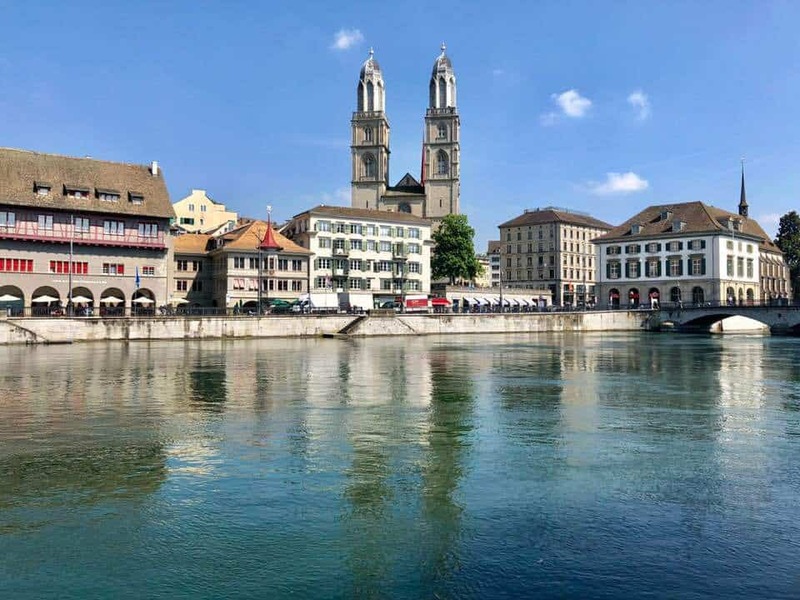 FREE AND CHEAP THINGS TO DO IN ZURICH IN THE SUMMER: check out our guide to free and inexpensive things to do in Zurich in the Summer. Click here for details. BAT MAID – CLEANING MADE EASY IN ZURICH: Looking for a cleaner? It’s not so simple in Zurich with all the forms to fill in and tax to deal with. Why not got to Bat Maid for a much easier option? Find out more here. HAIRDRESSERS IN ZURICH: take a look at our list of English speaking hairdressers in Zurich here. 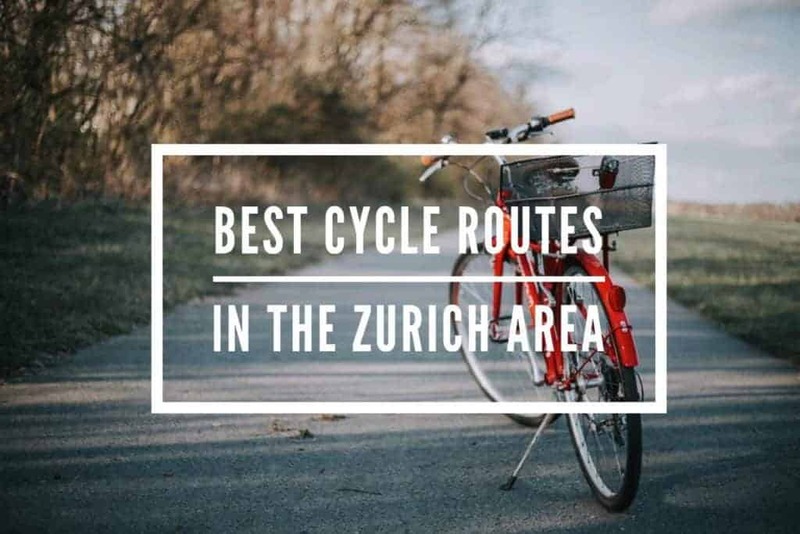 GREAT BIKE ROUTES NOT FAR FROM ZURICH: there are some great cycle routes not far from Zurich – check out our guide here. TOP BURGERS IN ZURICH: take a look at our Burger Guide here. CAPTURE THOSE MOMENTS WITH A PHOTO: Why not book a “back to school” portrait to capture those special moments with photographer Carmen Sirboiu ? Visit Carmen’s website here. 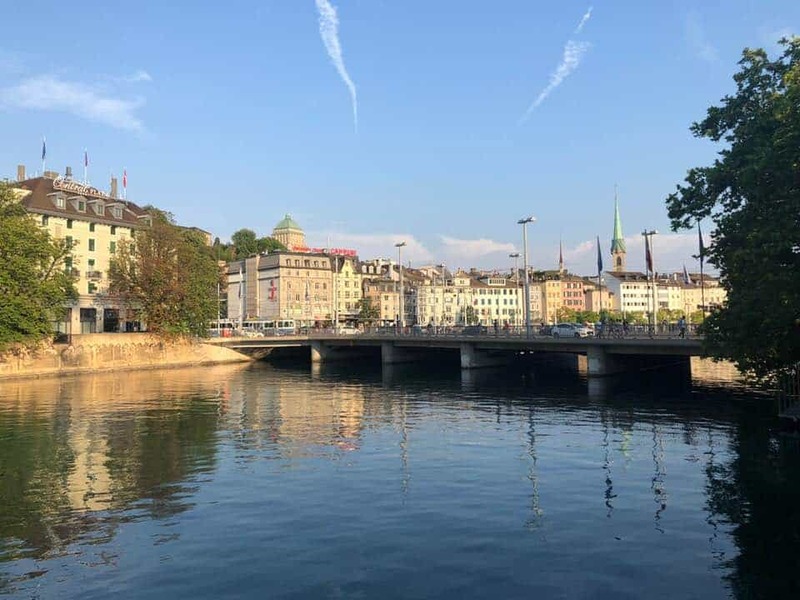 Share the post "What’s On in Zurich Beginning of September 2018"